If anti-lock brakes are a must on your shopping list (as they should be, especially for anyone in ice-storm reach), Kia has made it extremely hard to get them. They're not available on much of the 2009 Kia Spectra lineup, and on the SX, they're offered only with the sunroof (which cuts into headroom), an option grand total of $1,150. TheCarConnection.com's editors drove the new Kia Spectra in order to give you an expert opinion. TheCarConnection.com has also researched available road tests on the new Kia Spectra to produce this conclusive review, including a roundup of other choices, pros, and cons, to arm you with the most useful shopping advice. The 2009 Kia Spectra is a lot of car for the money, but it's outclassed by more refined competitors. The 2009 Spectra is available in three trim levels: LX, EX, and the sporty SX. 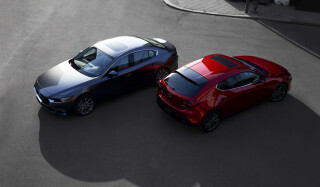 All versions feature Kia's 2.0-liter four-cylinder, which uses variable valve timing to generate 138 horsepower. The engine can be somewhat loud and thrashy when pushed hard. Fuel economy is unimpressive for a small car, with ratings of 24/32 mpg with the automatic and 23/30 mpg for the manual. The Spectra feels peppy with the standard five-speed manual, but it's unusually responsive in the mid-rev range, so it works well with the relatively smooth-shifting four-speed automatic. 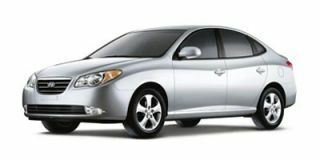 The 2009 Kia Spectra5 and the SX sedan have sportier suspension tuning, but the standard Spectra sedan favors ride comfort over sporty handling. The Spectra5 and the SX sedan feature wider tires that make these versions much more enjoyable to drive if you routinely navigate curvy roads, with only a slight change in ride quality. Note that these models have increased road noise, though. The SX models are distinguished by their black mesh grille, fog lights, rear spoiler, and larger 16-inch wheels. Last year the Kia Spectra5 received a makeover from the front doors back, with hatchback convenience and a tall roofline that continues almost all the way to the rear of the vehicle, yielding impressive cargo space—especially when taking advantage of the fold-flat backseats. The 2009 Kia Spectra has quite a bit of seating space, with a nicely proportioned height-adjustable driver's seat. The Spectra comes well equipped, but its interior appointments are a weakness; it's very basic in design, which is fine, but it lacks the lustrous materials and cohesive styling that's now par for the course, even among bargain-priced rides. Those accepting only the safest will want to look elsewhere. The insurance-affiliated IIHS rates the Spectra with an Acceptable score in frontal protection and Marginal score in side protection. In federal government crash tests, the 2009 Kia Spectra earns five stars for frontal protection and four stars for side-impact protection. Front side airbags, as well as side curtain airbags for all outboard passengers, are standard on all Spectras. Anti-lock brakes remain optional on the Spectra. Standard equipment on the 2009 Kia Spectra includes dual 12-volt power outlets in the center console, a 60/40 split-folding rear seat, a rear defroster, and a tilt steering column. An AM/FM/CD stereo with an auxiliary audio input jack is also standard. The EX and SX models get standard power windows and door locks, keyless entry, air conditioning, and floor mats. A leather-wrapped steering wheel and gearshift knob, metal sport pedals, and cruise control are also included with the SX, while an AM/FM/MP3 stereo with a six-disc in-dash CD changer and a power sunroof are SX-only options. Remote start is offered on the Spectra, but neither a Bluetooth hands-free system nor satellite radio is available. The 2009 Kia Spectra isn't much of a looker from the outside, but inside it's downright dull. The 2009 Kia Spectra puts less emphasis on sharp styling than other basic economy cars. 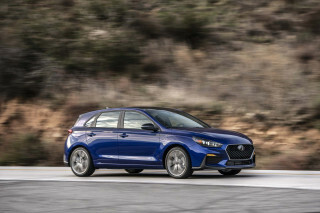 The Detroit News sums it up succinctly: "It's a nice looking compact hatchback." The SX models are further distinguished visually by their black mesh grille, fog lights, rear spoiler, and larger 16-inch wheels. 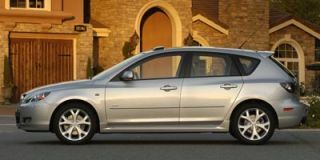 Kelley Blue Book notes that the 2009 Kia Spectra has "large, jewel-like headlamps that highlight sharply styled sheet metal in a vehicle that in no way resembles Kia's first entry in this country [the Sephia]." According to Cars.com, the company promotes the Kia Spectra's "sculpted appearance and the more aggressive look it has over many of its rivals" with "large, angular headlights [that] flank the grille" and "full-length body creases [that] are meant to impart a sense of motion." This, according to Edmunds, is an improvement over previous models: "The current [Kia] Spectra sedan and Spectra5 four-door hatchback counterpart have moved up the scale considerably in terms of style." The Detroit News says the 2009 Kia Optima's interior is "fairly Spartan...interior decor includes metal-finish trim and sport-cloth seats with matching door panel inserts." Kelley Blue Book's main complaint concerns a design flaw: "Aesthetically, the only blemish is an AM/FM/CD player that isn't physically or stylistically well-integrated into the otherwise cohesive interior." The 2009 Kia Spectra interior sports a very basic design lacking the lustrous materials and cohesive styling that's now par for the course, even among bargain-priced rides. The only Kia Spectra interior decor worth noting, according to Cars.com, is the SX’s "perforated leather-wrapped steering wheel and gearshift knob, aluminum pedals and metal-finish trim"—all of which is optional. The 2009 Kia Spectra delivers adequate but not stunning performance. Most drivers won't be disappointed with the 2009 Kia Spectra's handling and performance, but they’re unlikely to be impressed. The 2.0-liter four-cylinder engine, which uses variable valve timing to generate 138 horsepower, can be somewhat loud and thrashy when pushed hard. The same engine is installed in all versions of the 2009 Kia Spectra. The motor feels peppy with the standard five-speed manual but is also one of the more responsive engines in its class with the relatively smooth-shifting four-speed automatic. Speaking of transmissions, ConsumerGuide states "around-town response is fine with manual transmission, but Spectra lacks highway passing punch." Car and Driver reports that the 2009 Kia Spectra's power "is delivered to the front wheels via a standard five-speed manual or an optional four-speed automatic," then adds that its "standard five-speed manual gets the job done, but it still brings that 'which gear am I in?' negotiation that's reminiscent of stirring a wooden spoon in a bowl of Jell-O." On the other hand, Cars.com opines that the Kia Spectra's "easy-shifting manual gearbox works with little effort and helps extract the most power from the engine." Edmunds reports that the Kia Spectra's engine "provides spirited performance around town but feels a little winded during highway passing maneuvers," noting that testers' "criticisms included the engine's lack of pep at high speeds." Cars.com remarks "acceleration reaches past adequate with an automatic transmission, but passing yields a lot more blare than response." Car and Driver states that "Kia screwed together a new 2.0-liter four-cylinder engine with variable valve timing that serves up 138 horsepower and 136 pound-feet of torque," a significant improvement over previous models. The 2009 Kia Spectra's engine delivers "new levels of refinement for a Kia four-banger, never becoming too rough or raucous as did the old 1.8." Fuel economy is unimpressive for a small car, with ratings of 24 mpg city, 32 highway with the automatic and 23/30 mpg for the manual. EPA mileage figures are given as 22-24 mpg in the city and 30-32 mpg on the open road, depending on the transmission. ConsumerGuide test drivers report that "manual-transmission sedans average 28.1-28.5 mpg overall." Cars.com asserts that the 2009 Kia Spectra is "a generally enjoyable car that exhibits no more body lean than other sedans in its league, but it lacks a feeling of tight control." ConsumerGuide says "testers [were] divided on steering: responsive to some, slow to others," adding that the Kia Spectra "was prone to wander in highway crosswinds and exhibited unwanted nosedive in simulated panic stops." 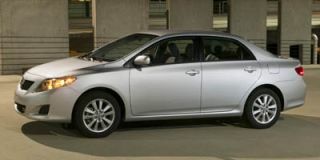 The standard Spectra sedan favors ride comfort over sportiness, and it doesn't handle especially well. There have been several improvements made to the Kia Spectra's handling, nonetheless: Car and Driver reports "the loosey-goosey steering sense is gone, replaced with an effort and feel that, although perhaps too light, clearly relays the front tires' attitude," while "the brakes offer up a firm pedal feel and reassuring performance." The reviewer from the Detroit News is sufficiently impressed that while "hitting the scales at 2,833 pounds, the [Kia] Spectra feels light on its feet and quite maneuverable in tight parking lots, thanks to an engine-speed-sensitive, power-assisted rack-and-pinion steering system." The 2009 Kia Spectra5 and the SX sedan have sportier suspension tuning—including wider tires—that makes these versions much more enjoyable to drive if you routinely navigate curvy roads, with only a slight change in ride quality. 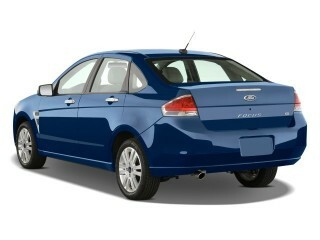 The 2009 Kia Spectra has abundant space for the class, but the skimpy seats and Spartan interior trim may not suit you. Last year the Kia Spectra5 received a completely different body style from the front doors back, with hatchback convenience and a tall roofline that continues almost all the way to the rear of the vehicle, yielding impressive cargo space—especially when taking advantage of the fold-flat backseats. There's quite a bit of seating space, with a nicely proportioned, height-adjustable driver's seat. The 2009 Kia Spectra comes well equipped, but actual interior appointments are a weakness; it's very basic in design, which is fine, but it lacks the lustrous materials and cohesive styling that's now par for the course, even among bargain-priced rides. ConsumerGuide observes "despite a tilt steering wheel and lever-action seat-height adjuster, few testers were able to find an ideal driving position." This source also notes that the 2009 Kia Spectra's seats are "sub par for contour and comfort...long-legged drivers will likely want more rearward seat travel...headroom is just OK for six-footers." Edmunds reports, "Like most compact cars, the [Kia] Spectra seats four comfortably, five in a pinch," adding "the seats are comfortable." However, Car and Driver notes "the front seats lack lumbar support." Cars.com qualifies this, commenting that "seat bottoms are short, and cushioning feels adequate but not abundant." The Detroit News declares that the Kia Spectra5 "offers 18.3 cubic feet of storage space, about 6 cubic feet more than the sedan. When the 60/40-split rear seats are folded flat, storage capacity in the hatchback expands to 52.8 cubic feet." Edmunds adds, "storage cubbies and cupholders are generous in size." ConsumerGuide reports that the 2009 Kia Spectra models have "usefully shaped trunks with adequate volume that's expandable via the standard 60/40 folding rear seat." Regarding the Spectra’s interior, Edmunds asserts that the Kia Spectra offers a "comfortable and functional cabin...simple...with easy-to-use (and reach) controls and good build and materials quality." ConsumerGuide contends that the 2009 Kia Spectra's "cabin materials and finish exceed most in this price range," but notes that a "poorly sealed right-rear window in one test sedan rattled and generated a highway-speed wind whistle." ConsumerGuide says, "Wind and road ruckus are nicely subdued," but the "engine is coarse sounding, growing additionally hoarse around 4000 rpm." However, Car and Driver waxes that, "on the highway, the [Kia Spectra's] cabin is a place of Lexus-like serenity." The 2009 Kia Spectra lacks some safety features that are expected and doesn't do especially well in crash tests. The Insurance Institute for Highway Safety (IIHS) rates the sedan "acceptable" in frontal protection and "marginal" in side protection. The National Highway Traffic Safety Administration (NHTSA) crash-tests the 2009 Kia Spectra, and it earns five stars for frontal protection and four stars for side-impact protection. Cars.com notes "antilock brakes are optional." However, Edmunds reports, "the Kia Spectra sports an impressive list of standard safety equipment that includes front seat side airbags and full-length side curtain airbags." The only comment on visibility comes from ConsumerGuide, which states that with the Kia Spectra5 model, "roof styling impedes aft visibility." The 2009 Kia Spectra doesn’t boast some of the newer features found on other compact cars, but all the basics are there. All the usual features and options are available on the 2009 Kia Spectra, including a remote smart, but a Bluetooth hands-free system and satellite radio are absent from the list. Audiophiles will be happy with the Cars.com report that the Kia Spectra's "audio system has an auxiliary jack for iPods or other MP3 players, and a six-CD changer is optional on the Spectra SX." Car and Driver says "rounding out the long list of standard features" on the Kia Spectra "are an adjustable steering wheel, a CD stereo with six speakers, a 60/40 split-folding rear seat, and variable intermittent wipers." 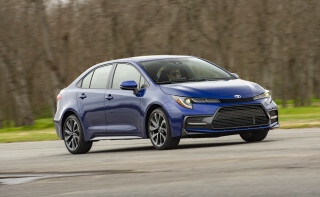 "Trim levels include the base LX, uplevel EX and sport-tuned SX,” says Car and Driver, and "rounding out the long list of standard features" on the Kia Spectra "are an adjustable steering wheel, a CD stereo with six speakers, a 60/40 split-folding rear seat, and variable intermittent wipers." Standard equipment on all versions includes an AM/FM/CD stereo with an auxiliary audio input jack. 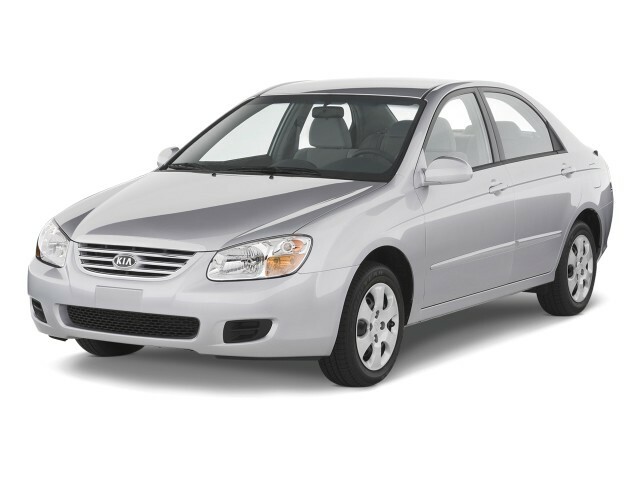 ConsumerGuide reports that the 2009 Kia Spectra "EX adds air conditioning; fog lights; and power windows, door locks, and mirrors, the latter heated." According to Cars.com, "extra features in the SX sedan include a perforated leather-wrapped steering wheel and gearshift knob, aluminum pedals and metal-finish trim."